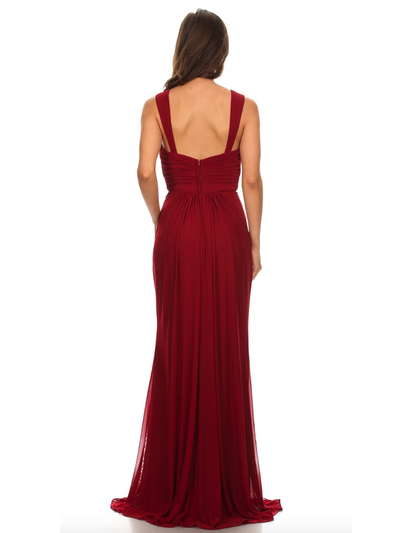 Sleeveless Long Evening Dress | Sung Boutique L.A. Relaxed style evening dress feature wide shoulder straps with shirred bodice. A-line silhouette completed with floor length skirt. This dress is perfect for any special occasion or as a bridesmaid dress.